The Lenovo System x3850 X6 server, machine type 6241, is a four-socket 4U rack-mounted server that represents the sixth generation of the Enterprise X-Architecture. Now with Intel Xeon E7 v4 processors, the x3850 X6 delivers fast application performance, is based on an agile system design, and is a resilient platform that is needed for mission-critical databases, enterprise applications, and virtualized environments. This product guide provides essential pre-sales information to understand the x3850 X6 server, its key features and specifications, components and options, and configuration guidelines. This guide is intended for technical specialists, sales specialists, sales engineers, IT architects, and other IT professionals who want to learn more about the x3850 X6 and consider its use in IT solutions. China customers: For China customers and sellers, we also have the Lenovo System x3850 X6 and x3850 X6 Essential product guide which includes the x3850 X6 Essential offering. The Lenovo System x3850 X6 server, machine type 6241, is a four-socket 4U rack-mounted server that represents the sixth generation of the Enterprise X-Architecture. With Intel Xeon E7 v4 processors, the x3850 X6 delivers fast application performance, is based on an agile system design, and is a resilient platform that is needed for mission-critical databases, enterprise applications, and virtualized environments. The x3850 X6 packs numerous fault-tolerant and high-availability features into a high-density, 4U rack-optimized lid-less package that helps reduce the space that is needed to support massive network computing operations and simplify servicing. The x3850 X6 supports up to four Intel Xeon E7 high-performance processors and up to 12 TB of memory. 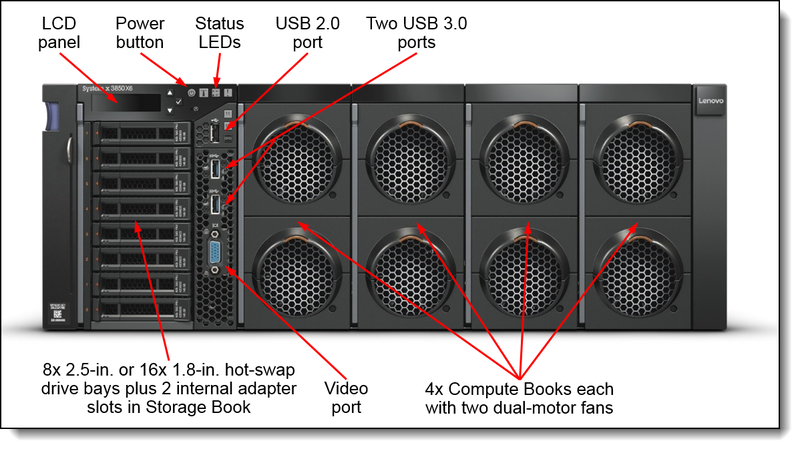 The following figure shows the Lenovo System x3850 X6. 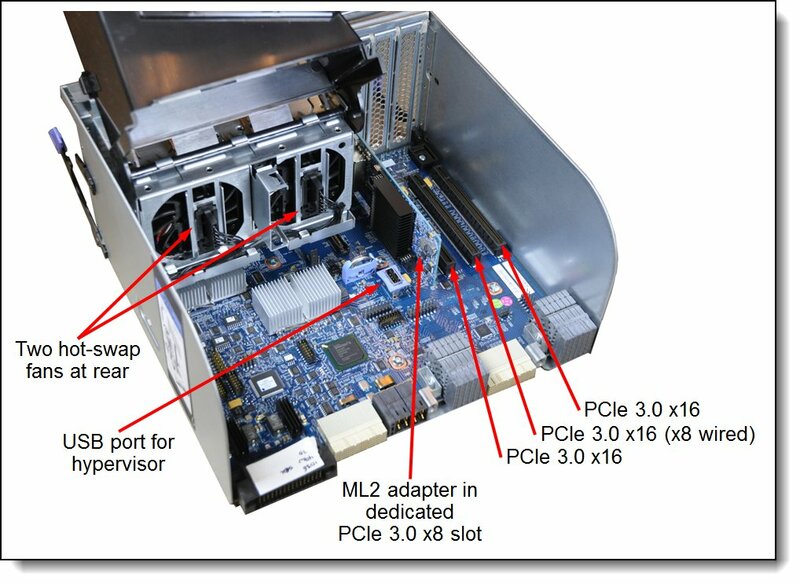 The x3850 X6 server employs a lid-less design where all serviceable components are front- and rear-accessible. In addition, each major subsystem is implemented as modular "book" design, such as the Compute Books and I/O Books. This configuration means that components are easy to upgrade and service, which translates to greater uptime of applications to your users. The x3850 X6 offers enterprise scalability and advanced RAS features to support the most demanding mission-critical applications that require 24x7 operations. Lenovo X6 servers continue to lead the way as the shift toward mission-critical scalable databases, business analytics, virtualization, enterprise applications, and cloud-computing applications accelerates. Supports up to four E7 v4 processors with a total of 96 cores and 192 threads to maximize the concurrent running of multi-threaded applications. Supports up to 96 DIMM sockets, with 24 DIMMs per processor. Support for up to two graphics processing units (GPUs) and co-processors to maximize computing power. Using 128 GB 3DS RDIMMs, the server supports up to 12 TB of memory. Up to 16x 1.8-inch SSD bays, or up to eight 2.5-inch bays, provide a flexible and scalable all-in-one platform to meet your increasing demands. 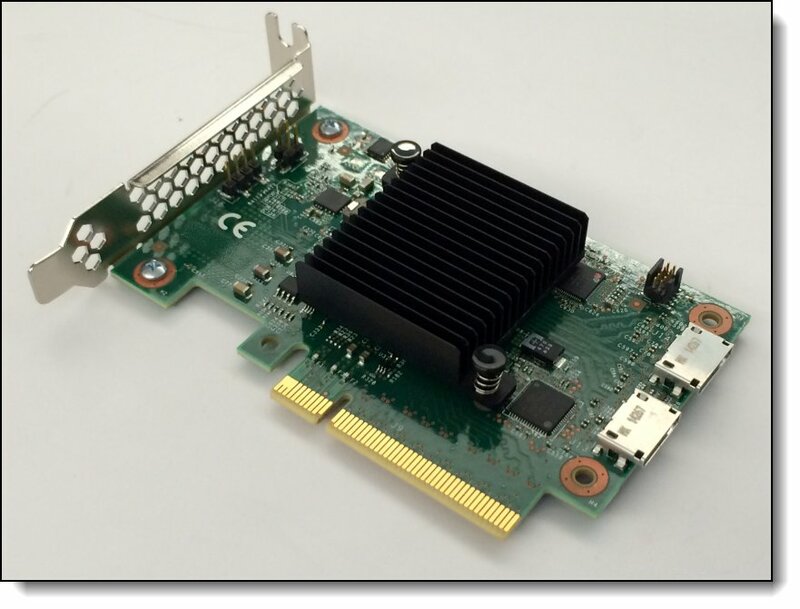 Offers up to 11 PCIe slots plus a dedicated Mezzanine LOM (ML2) adapter slot. 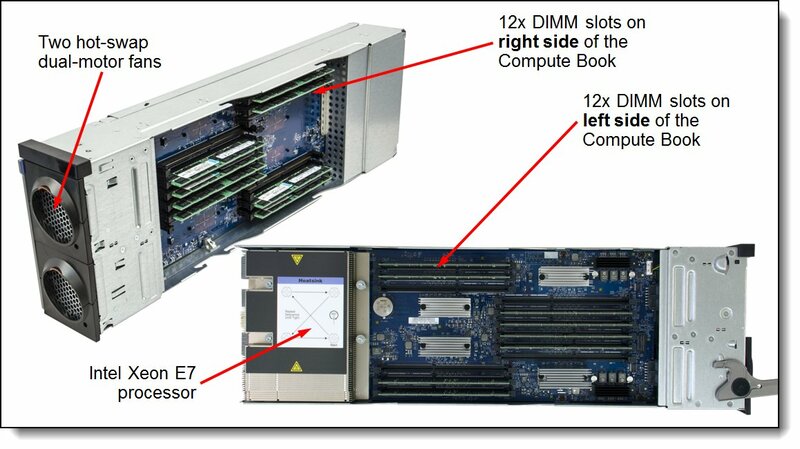 Most slots are PCIe 3.0 to maximize I/O scalability. Includes a special Mezzanine LOM (ML2) adapter slot with support for adapters with either two 10 Gb ports or four 1 Gb ports. Supports direct connectivity to the IMM2 service processor for out-of-band systems management. The following figure shows the front of the x3850 X6 server. The following figure shows the rear of the x3850 X6 server. One, two or four Intel Xeon E7-4800 v4 or E7-8800 v4 processors, each in a Compute Book. Processor options have between 4 and 24 cores with core frequencies up to 3.2 GHz. Three QPI links up to 9.6 GT/s each. Compute Books have TruDDR4 memory up to 1866 MHz, but cannot be mixed. Up to 60 MB L3 cache. Intel C602J chipset. Memory Up to 96 DIMM sockets (24 DIMMs per processor, installed in the Compute Book). RDIMMs and LRDIMMs (Load Reduced DIMMs) are supported, but memory types cannot be intermixed. Memory is either TruDDR4 memory (up to 1866 MHz) or DDR3 memory (up to 1600 MHz), depending on the Compute Book selected. DDR3 memory and TruDDR4 memory cannot be mixed in the same Compute Book. Compute Books with DDR3 memory and Compute Books with TruDDR4 memory cannot be mixed in the same system. Disk drive bays Up to 16 1.8" SSD bays, or up to 8 2.5" hot-swap SAS/SATA bays, or up to 4x 2.5” hot-swap PCIe NVMe SSD drive bays. Up to 16 TB with 4x 4 TB 2.5-inch PCIe NVMe SSDs. Network interfaces Mezzanine LOM (ML2) slot for dual-port 10 GbE cards with SFP+ or RJ-45 connectors or quad-port GbE cards with RJ-45 connectors. See the Ethernet column in the Standard models table. Dedicated 1 GbE port for systems management. Ports Front: Two USB 3.0, one USB 2.0, and one VGA video port. Rear: Four USB 2.0, one VGA video, one DB-9 serial, and one 1 GbE RJ-45 systems management. Internal: USB 2.0 port for embedded hypervisor. Cooling Calibrated Vectored Cooling™. Up to ten redundant hot-swap fan packs and five fan zones with N+1 fan redundancy. Each fan pack includes two counter-rotated dual-motor fans. Power supply Up to four redundant hot-swap 900 W AC or 1400 W AC power supplies (all 80 PLUS Platinum certified). -48 V 750 W DC power supplies are available through CTO. Security features Power-on password, admin password, and an integrated Trusted Platform Module supporting TPM 2.0 and TPM 1.2. Operating systems Microsoft Windows Server, Red Hat Enterprise Linux, SUSE Linux Enterprise Server, VMware ESXi. See the Operating system support section for specifics. This section lists the Standard and TopSeller models of the x3850 X6 server. The following table lists the models with E7 v4 processors. † x in the Machine Type Model (MTM) represents a country-specific letter (for example, the EMEA MTM is 6241-A4G, and the US MTM is 6241-A4U). Ask a Lenovo representative for specifics. * Processor detail: Processor quantity and model, cores, core speed, L3 cache, and TDP. ‡ Model F3x, F4x, B3x include the Broadcom NetXtreme II ML2 Dual Port 10GbE SFP+ adapter (BCM57810S based). All other models include Intel I350-T4 ML2 Quad Port GbE Adapter (I350-AM4 based). § Models with six slots have the Primary I/O Book (four slots) and Storage Book (two slots) standard. ** Models 24x, 44x, 54x and 94x not available in North America. The Lenovo System x3850 X6 Workload Optimized Solutions for SAP HANA provide optimal solutions for SAP NetWeaver Business Warehouse, data mart, and SAP Business Suite, Powered by SAP HANA applications. Preconfigured workload optimized server models for SAP HANA applications are configured with up to 1 TB of memory and are upgradeable to support larger single node and scale-out cluster implementations. Models HQx, HVx: ServeRAID M5120 RAID controller for external connectivity (81Y4478), with 1GB cache upgrade with flash backup (47C8660) plus Performance Accelerator (47C8710) and SSD Caching Enabler (47C8712). Model 8Fx: ServeRAID M5225-2GB RAID controller for external connectivity (00AE938) plus Performance Accelerator (47C8710) and SSD Caching Enabler (47C8712). For more information about the standard features of the server, see the Standard specifications section. With the x3850 X6, machine type 6241, Lenovo supports upgrading the server processors by simply by replacing the Compute Books. The process to upgrade is made very simple because of the innovative book design of the x3850 X6. E7 v3 processors are now withdrawn, so you cannot upgrade to E7 v3 processors. Upgrades to v4 processors are only supported with machine type 6241. If you want to upgrade an X6 server with machine type 3837, contact your local representative. 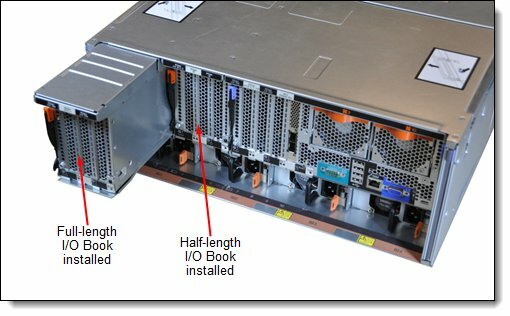 The x3850 X6 server has a flexible modular design that allows you to increase the server’s compute power and I/O capabilities by adding additional Compute Books and I/O Books. The modular design also means that if your business needs additional processing or I/O capability within the same system image, then it is possible to migrate to an eight-socket x3950 X6. 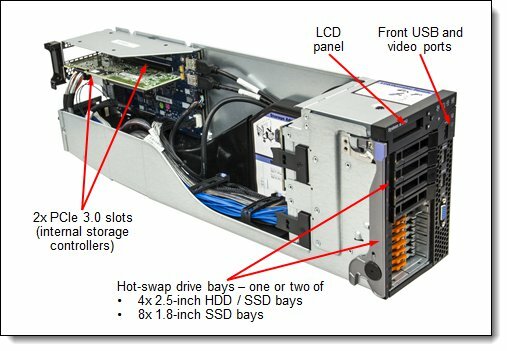 Once the need arises to upgrade the server to six or eight processors, simply purchase more Compute Books with the same processor model, plus additional power supplies (as determined by using the Power Configurator), I/O Books, adapters and drives as needed. With this option, you don’t have to plan for 8-socket capacity up front. You start with an x3850 X6 then when you are ready to upgrade to a 6-socket or 8-socket server, you purchase part number 00MY849. Engage a Lenovo service engineer to come onsite to perform the field upgrade by transferring all components to the new chassis. This method also requires the x3850 X6 compute books be the same E7-8800 series processors as ordered, however, in this scenario, the server maintain the original serial number. Note: Use of E7-4800 processors: Intel Xeon E7-4800 v2/v3/v4 processors cannot be used in an x3950 X6. If your x3850 X6 has Compute Books with E7-4800 processors, then these must be replaced with Compute Books with E7-8800 processors if you plan to upgrade to an x3950 X6. The memory in the Compute Books can be reused in the x3950 X6, however (provided the selected processors support the memory type, DDR3 or DDR4). The major parts of the 4U to 8U upgrade are the 8U chassis, the Storage Book and the Primary I/O Book. All the components in the package will be installed in the top portion of the chassis. The 4U system's components will be transferred to the bottom section of the chassis. 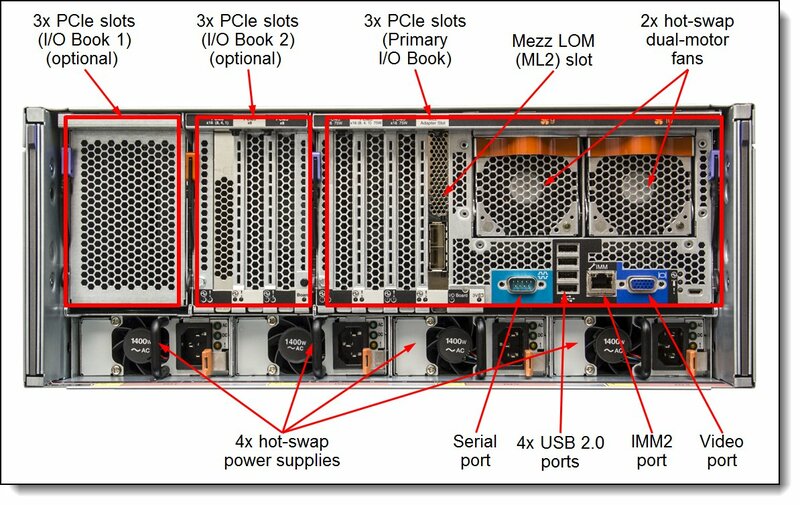 Even though this upgrade requires a new 8U chassis replacing the existing 4U chassis, the majority of internal components can be moved from the x3850 X6 to the x3950 X6. Processor support: Intel Xeon E7-4800 v2/v3/v4 processors cannot be used in an x3950 X6. If your x3850 X6 has Compute Books with E7-4800 processors, then these must be replaced with Compute Books with E7-8800 processors if you plan to upgrade to an x3950 X6. The memory in the Compute Books can be reused in the x3950 X6, however. All processors must be identical: All processors used in the x3950 X6 must be the identical. For example, all E7-8850 v3 processors. A minimum of four processors are required. 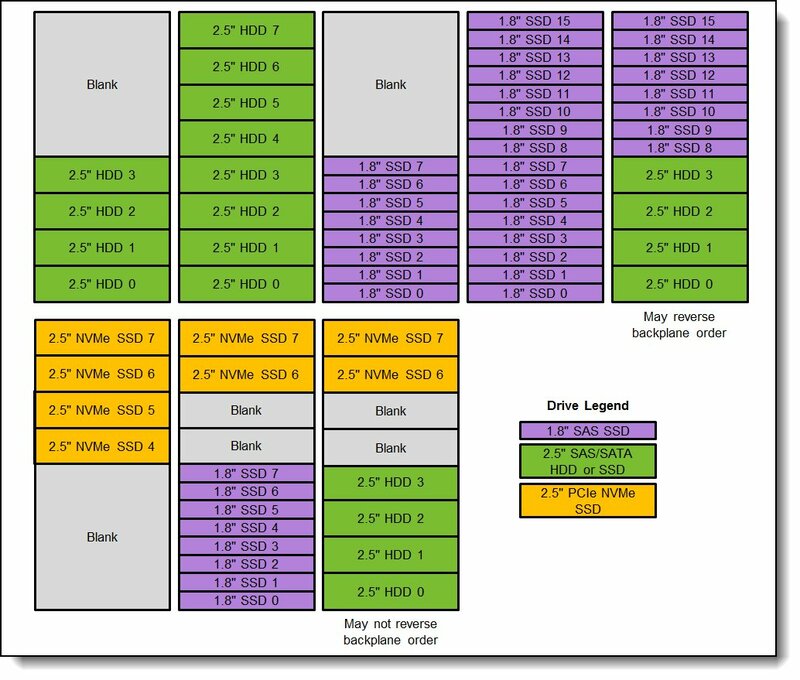 Original x3850 X6 server may need to be ordered configure-to-order (CTO) or Special Bid: To minimize “parts on the floor” (parts that cannot be used in the upgraded system), the original x3850 X6 should be configured with Compute Books containing E7-8800 processors. Since many standard models of the x3850 X6 (see Table 2) contain E7-4800 processors, you may need to use configure-to-order or order the server using Special Bid to create a server configuration with E7-8800 processors. Serial number swap: The upgrade process also involves transferring the x3850 X6 serial number to the x3950 X6 chassis. This transfer makes the upgrade simpler from an asset or depreciation management point of view. This transfer also means that the old 4U chassis will be retired as it will no longer have a valid serial number. Power supplies: Ideally all power supplies are the 1400W variant. Regardless of the selection, the power supplies coexistence rules as described in the Power supplies section must be followed. Additional rack space: An additional 4U of rack space is required when upgrading the x3850 X6 to the x3950 X6, for a total of 8U of rack space. Down time: In order to upgrade the x3850 X6 server to an x3950 X6 server you will need to allow for down time. The server will need to be completely powered off and have some of its components removed for re-installation into the new x3950 X6 server. The x3850 X6 supports two or four Compute Books. Three Compute Books are not supported. A configuration of one Compute Book is only supported in standard models 6241-A4x and 6241-D5x. Each option includes the processor installed in a Compute Book. 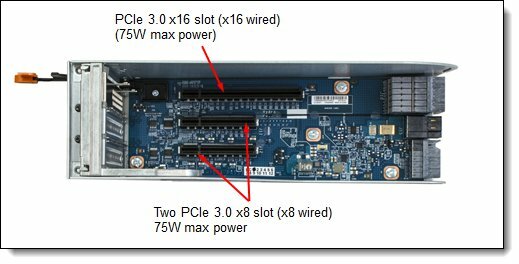 Compute Books with one of the E7-4800 family of processors are supported only in a four-socket x3850 X6 server and cannot be used in an x3950 X6 server. All Compute Books installed in a server must be identical. The x3850 X6 (6241) supports either DDR3 or TruDDR4 memory, depending on the Compute Books used in the server. The x3850 X6 supports TruDDR4 memory operating at speeds up to 1866 MHz and DDR3 memory at speeds up to 1600 MHz. Note that even though supported TruDDR4 DIMMs are rated at 2400 MHz or 2133 MHz, when used in the x3850 X6, they operate at speeds up to 1866 MHz. The x3850 X6 supports up to 96 DIMMs when all processors are installed, 24 DIMMs per processor. Each processor has four memory channels that are implemented using Scalable Memory Interface generation 2 (SMI2) chips, and the server implements three DIMMs per channel. The processor and the corresponding memory DIMM slots are on the Compute Book. The following table lists the memory options that are available for x3850 X6. The maximum quantity of DIMMs that can be installed in the server depends on the number of processors, DIMM type, rank, and operating voltage, as shown in the "Maximum qty supported" row in the following table. The following table shows the characteristics of the supported DIMMs. Table cells that are highlighted with a gray background indicate that the server supports higher memory frequencies or larger memory capacity (or both) than the Intel processor specification defines. All standard models ship with four 2.5-inch SAS/SATA hot-swap hard disk drive bays, except model 6241-A4x. The following table shows the internal storage expansion options that are available. Two optional I/O Books, each with three slots, all full height. Optional I/O Books are enabled for hot-swap. The usage of these Optional I/O Books requires all four processors to be installed. 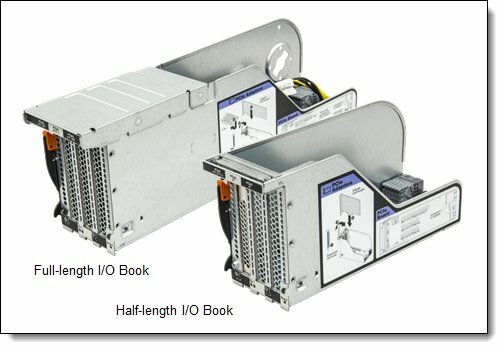 The following figure shows the two optional I/O Books, the Half-length I/O Book and the Full-length I/O Book. The following figure shows the inside of the Half-length I/O Book. The server supports ML2 adapters that are installed in the custom ML2 slot. This slot supports adapters with either two 10 Gb ports or four Gigabit ports and supports direct connectivity to the IMM2 service processor for out-of-band systems management. The following table lists the supported ML2 adapters. ML2 adapters are installed only in the ML2 slot (slot 10 as show in the Slot locations section). The following table lists the Fibre Channel HBAs supported by the x3850 X6. The maximum quantity listed is for configurations with all processors and I/O books installed. The maximum supported column also indicates which slots each adapter is supported in. For slot locations see the Slot locations section. The server supports the co-processors and graphics processing units (GPUs) that are listed in the following table. Each is installed in a Full-length I/O Book. No other adapter can be installed in the Full-length I/O Book. The Full-length I/O Book includes the necessary auxiliary power cables. The maximum supported column indicates which slots each adapter is supported in. For slot locations see the Slot locations section. 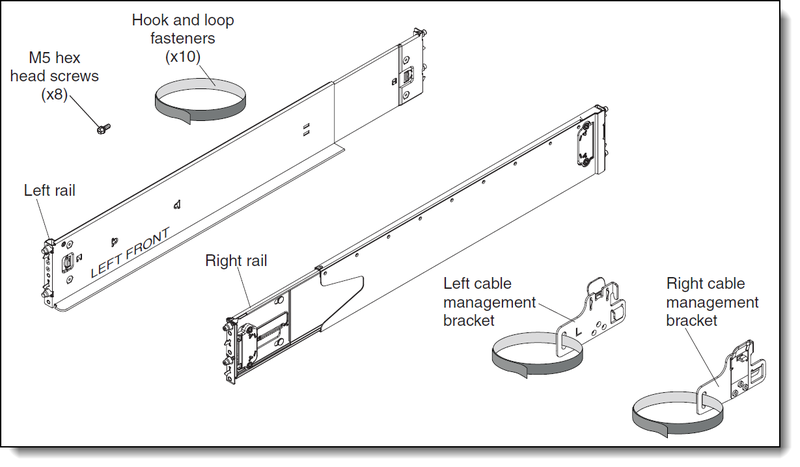 These adapters are not available through CTO and cannot be shipped installed in the server because they are installed in the Full-length I/O Book, which extends beyond the rear of the chassis (see Figure 12). These adapters must be shipped separately from the server. Order the adapter and Full-length I/O Book as separate options. The x3850 X6 server supports up to four redundant power supplies. Standard models come with one, two, or four power supplies (model dependent). The following table lists the power supplies. 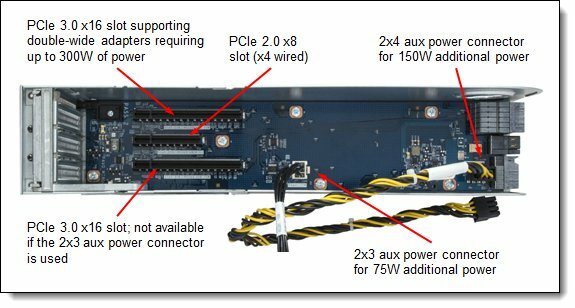 Power supplies must be in pairs (x3850 X6) or quads (x3950 X6), with the exception of model 3837-A4x, where one power supply is supported. The server contains Integrated Management Module II (IMM2), which provides advanced service-processor control, monitoring, and an alerting function. If an environmental condition exceeds a threshold or if a system component fails, the IMM2 lights LEDs to help you diagnose the problem, records the error in the event log, and alerts you to the problem. The IMM2 also provides a virtual presence capability for remote server management capabilities. All models of the x3850 X6 include a rail kit and cable management bracket kit for installation in a 19-inch rack cabinet. The contents of the kits are shown in the following figure. The System x3850 X6, machine type 6241 has a three-year warranty. The racks supported by the server are listed in the following table.